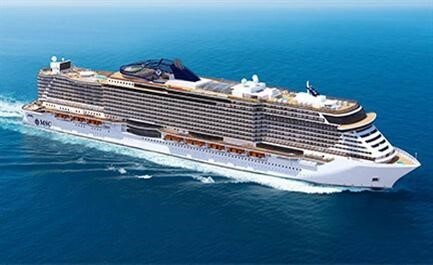 MSC Cruises is a Swiss-registered, global cruise line with headquarters in Geneva. MSC Cruises is the world's largest privately owned cruise company, employing 16,300 people worldwide and having offices in 45 countries as of July 2014. 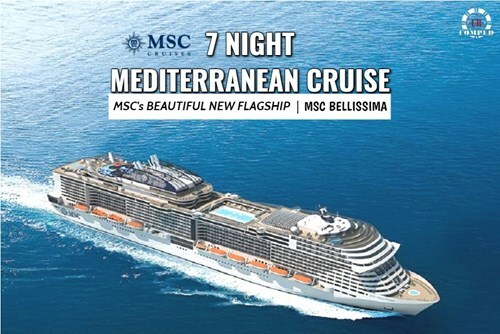 MSC Cruises (Italian: MSC Crociere S.p.A.) is part of the Mediterranean Shipping Company S.A. (MSC), the world's second biggest container shipping operator. MSC Cruises is the fourth largest cruise company in the world, after Carnival Corporation & plc, Royal Caribbean Cruises Ltd. and Norwegian Cruise Lines with a 5.2% share of all passengers carried in 2015. The smallest casino in the MSC Cruises fleet is MSC Lirica with 52 slot machines and 6 table games. The largest MSC Cruises casino is MSC Melody with 87 slot machines and 7 table games. 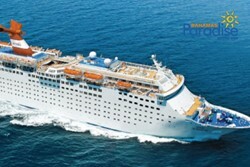 Qualified MSC Cruises Players are eligible for personal VIP Casino Host services. URComped negotiates aggressively to ensure that thousands of URComped VIP members, including players from MSC Cruises, receive the best comp offers and personalized VIP service at casinos and cruise lines around the world. If you have elevated tier status or a casino host assigned to you at MSC Cruises or other casino properties, then there is an excellent chance you qualify for VIP offers at URComped partner casinos and cruise lines. Enjoy Complimentary Balcony Stateroom for Two! Enjoy Complimentary Inside Stateroom for Two! The MSC Voyagers Club envisages five levels of membership: Welcome, Classic, Silver, Gold and Black. Each time you cruise with us you’ll earn points to upgrade your membership level. You can collect points easily based on the Experience purchased, on board services prepaid before the cruise and on board expenses. All the points will be assigned after the end of the cruise. The cruise card you receive on board on the first day of every cruise you take will also be your MSC Voyagers Club card. How do I earn points with the MSC Voyagers Club? Earning between 5,000 and 9,999 points earns you a 30% discount on your next cruise. Earning 10,000 points while on board earns you a COMP inside cabin. As always you can book your repeat trip through URComped and will guarantee a FREE room upgrade, if we can't get you a room upgrade we will send you a free gift for your cruise! The MSC Seaside is an amazing ship. The casino is a little small, but adequate. All you had to do to get your free drinks in the casino is tell a casino host that you booked through URCOMPED, they check a list they have and attach a little sticker on your room card, which is the same card you use to gamble with. You can walk up to the casino bar, show them your card, and get your comped drink. Never had any issues. Internet packages - can only compare to NCL’s! NCL - you purchase minutes, MSC - you purchase 3, 6 or unlimited GB. We purchased the 3 GB onboard for $89.91, which was more than enough for my wife to post almost 200 pics and 20+ videos on Facebook. On NCL, we would have never been able to post all of that on Facebook because we would have run out of minutes. Thank you, Tyler, and URCOMPED for setting this all up! Thank you so much! Tyler loves working with you and is looking forward to getting you on another cruise again soon! :) Happy you enjoyed the Seaside. Tyler is leaving this Saturday on it for his meet up cruise! How do you upgrade to Yacht Club on urcomped? This will be my first cruise, bringing my gf with me, she’s not much of a drinker but will have a few, is the drink package worth it? What are the prices of beer, mixed drinks, soda, coffee and juice? 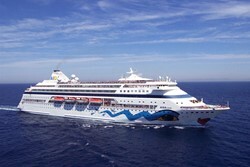 The Seaside has been sailing out of Miami for a few months now, replacing the Divina. As I am currently waiting to disembark MSC seaside, I have decided to write my review. It is a beautiful ship but a very small casino to say the least. The casino wasn’t kind to me at all. 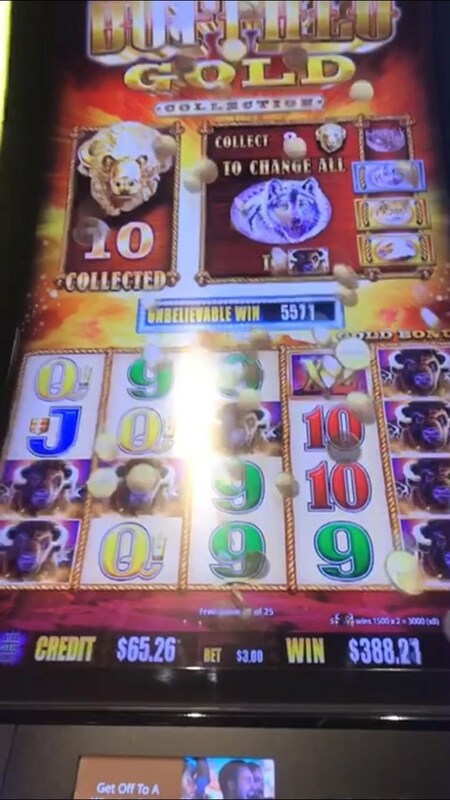 I played slots as well as blackjack & roulette. 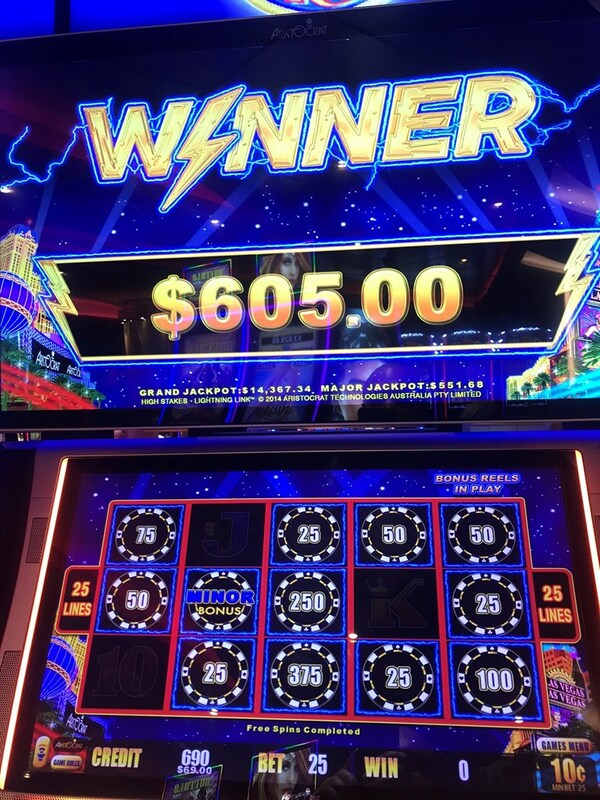 No jackpots here! I met the casino host one time and that was it. He was hardly ever seen. As for the drink person, there was only one on the floor and the wait to get a drink was beyond. The staff did not seem as friendly as on other cruise ships. The food - I give it a 4 out of a 10. Not much to choose from in the main dining room at all. The buffet - that was a joke to say the least. It was was the same food every single day. Pizza, hot dogs, burgers, salad, cheese, deli meats & potato salad. As for guest services - always a long line, at least an hour wait to get to the counter! However I will say they do have good shows in the theater. I saw Peter Punk & The Wizard. They say you have to sign up for these shows as they are compacity controlled but that was a waste of time because anyone could walk in and at one point for a different show, there were no seats left. I had reservations for 3 shows but was only able to attend two because people who didn’t sign up, walked in and sat down. Overall, I give the cruise experience a 2 out of 5 stars. 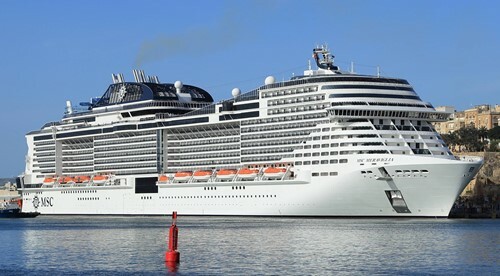 I am thankful for the opportunity to sail on such a beautiful ship but would pass on MSC. Although I enjoyed my cruise, there are a lot of areas where they need a lot of work. The main one being guest services. There was only one young man who really was able to assist us completely and his name was Jonathon. The others pretended to understand, but most of the time would not even let you talk, before they said it was taken care of. Only to find out after numerous attempts, and standing in line once again, that it still was not correct. There needs to be more communication as far as fun passes, zip line, etc. Numerous people climbed all the stairs for zip line only to find out they had to purchase a token on a lower floor before they could ride. Just an example. I do have to say that the casino, although very small for the size of the ship, had excellent staff and servers. They made you feel welcome and took great care of their players. I thought the food was good, not excellent, and I was really looking forward to a good lobster dinner, which was not offered at all. Also, would have been nice to have a little more variety of steaks to choose from, rather than the same one every night. The waiter was wonderful and very friendly. Made it an enjoyable dinner. I think that the employees who do not really know positively how to help you would be better of just asking someone else who does rather than pretending and making you repeat your request over and over. That is my biggest complaint. I would be willing to try this cruise line again, but would probably wait a while to see if the guest relations improves and the variety of menu items was expanded. Oh, and why make reservations for the shows because they do not ask if you have them anyway or check to see if you do. After making reservations, it still was a first come first seat type of situation. Not good, and the size of the theater is not adequate for the size of the ship. Much too small. Very nice ship. However the casino is very small. Only one three card poker table. No smoking at table at all. Was very hard to find a seat most nights. Staff was great host was good as well always made me feel welcome. Down side is it opens late and closes early everyday. Makes it hard to reach their ten thousand point mark. Table rating is way off. I’ve played open to close everyday on very few points row show. On the other line I sail I would of done had a comp balcony. MSC does not do designated times check in so you have the zig zag line to wait in a couple of times. Took us a little over an hour to get all checked in and onboard. Did not want our picture taken before boarding but they would not allow us to just walk around it and made us do the picture. Later they sent them to our room with a folder that if you didn't want them you had to check the NO box and give back to room steward or they would charge you for them. We did check the NO box and gave back to our steward almost immediately but they still charged us. In order to put cash on your account you must visit the customer service desk, of course that line the first day and a half was much to long so I waited till later the first full day and it wasn't so bad. The room was ok, just as I expected as per other cruise lines however I think the bathroom was smaller and could have a better layout for more space. The lights only work with your card in the slot by the door, tried other kinds of cards and they would not work. No wash cloths so you will have to ask for them. No bar soap in the bathroom either just liquid soap. Using the liquid soap with washcloth doesn't really work very well so I bought a luffa at port. We ate at the MDR each night. I thought the food was very good but the presentation could have been better. Selections were good but I prefer having at least one new exotic thing to try each night which I did not see on the menu. The first night you had to find your table so the line was a little long but every night after you just walked to your table and sat down. I do not remember any sail away party, maybe I just missed it. I had to make about 7 trips to the customer service to get things straight. Linking your credit card was very easy at the kiosk. No on to the casino. The casino was smaller that I am used to. I don't play table games but did notice that there is no craps table and not a whole lot of other table games. I am a smoker when gambling. The smoking section is back side of the slot area, there is a sign designating this. Also, you are not allowed to smoke anywhere in the casino when the ship is in port. Ashtrays are very hard to find when you can smoke. A good deal of the machines you are able to change the denomination to whatever you like. There were alot of hand pays won for the size of this casino. I won a major worth $910.00. 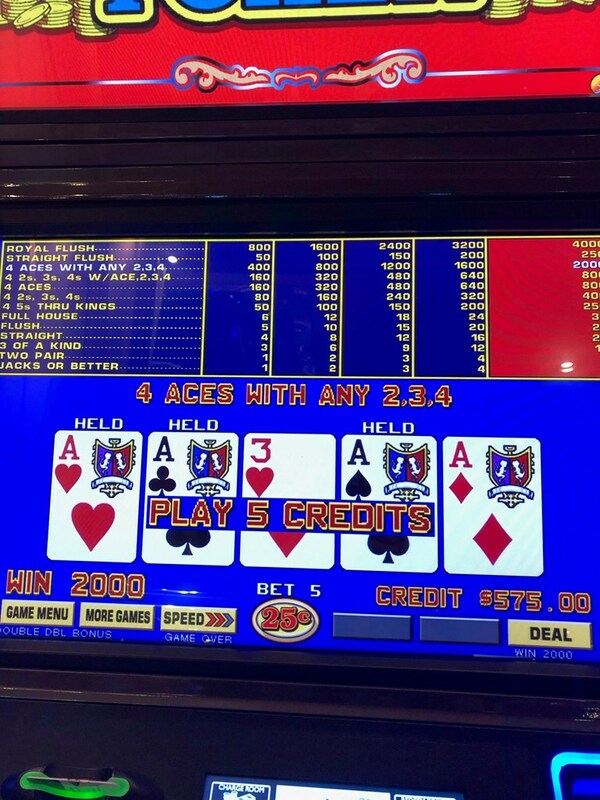 Another passenger won $11,500.00, another $4.500.00 and a lot of hand pays that were above $1,000.00. The casino closes every night at 2:00am. The drink servers were very good and quick. Of course on sea days the casino was very crowded so it was a little slower at this time. All of the casino staff was wonderful, I can't praise them enough. 9,999 points gets you a free inside for two, upgrade to OV was like $359 but since I didn't qualify for this I don't know the other amounts for sure. I think the fee to upgrade to balcony was over $1,100.00 We went to two different shows, the most popular was Starwalker (Michael Jackson), we reserved on our first night and ended up standing the whole show because they don't check when you enter whether or not you have reserved so the seating was not sufficient. Get there early to get your seat even if you reserved. I purchased the fun pass before hand for $100 and received $160 credit. Zip line was $10 each, 5D was $10 each, F! simulator was $10 each which seemed to be very popular most of the week. Air hockey and both racing games were $1.50 each. Any game that you could win a prize was not included in the fun pass so beware. There were 2 bowling lanes which we did not try. If there is anything you would like to know just ask and I will try to answer.